In life, as you get older, you start to run out of firsts and I'm rather old. 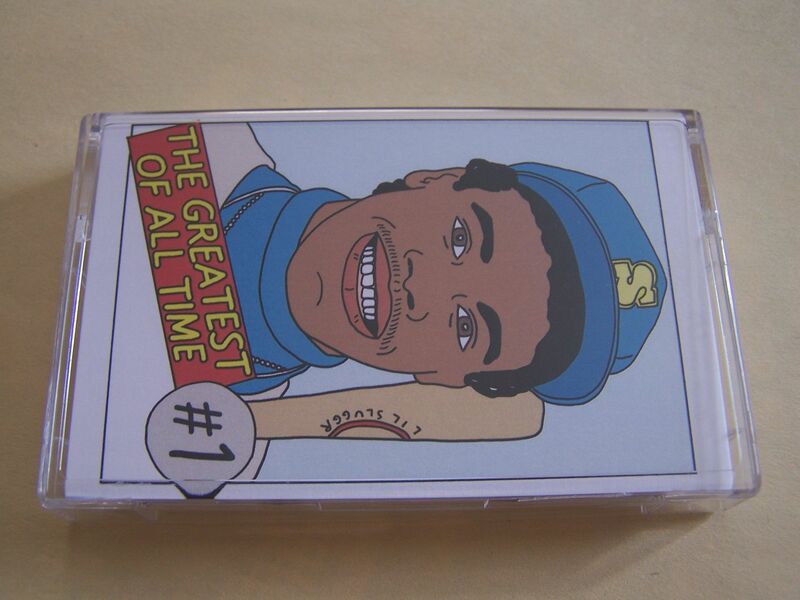 However I've managed a new first for me with this cassette because as I was buying some other cassettes from Forged Artifacts, you know, completing my collection, I also decided to get this one because when I looked at it all I could see was a compilation (more on that later) but I'll be damned if I didn't like the artwork for this. Having a son has changed me in the way that I'm trying to expose him to as many things as possible because this world is so vast I don't want him to just be limited to the things that I enjoy (It's why we watched the most recent World Cup together) As I got back into the days when I was young and liked baseball I also remembered all of my baseball cards growing up and other assorted trading cards that they just don't make like they used to anymore. 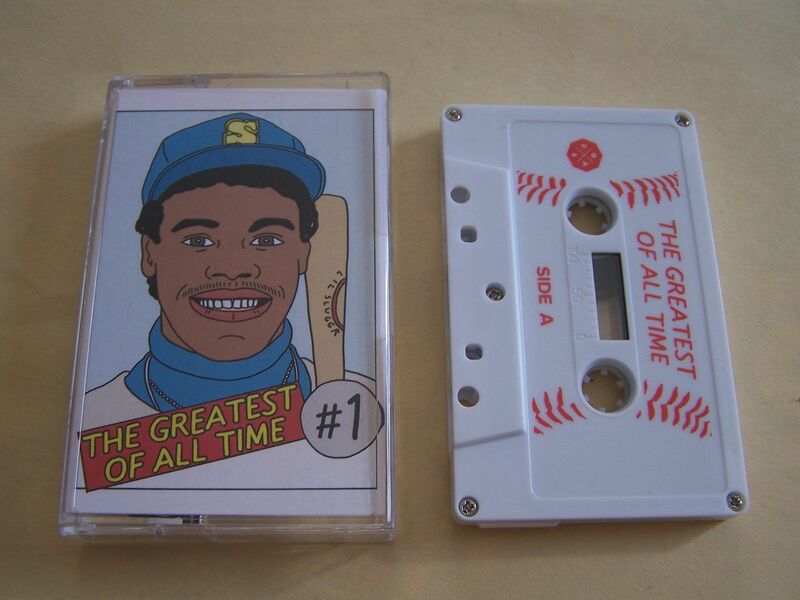 Much like whoever put this cassette together (and I love how the cassette is white with the red lacing to make it look like a baseball) I grew up in the time of Ken Griffey Jr. and even remember having a special box of cards for him because I would go out of my way to buy special cards just because they were his. 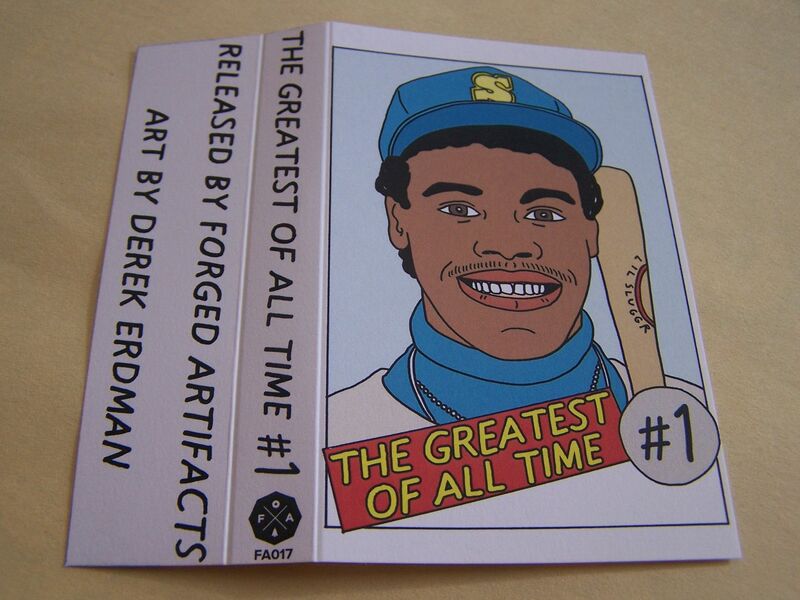 Perhaps my favorite to this day is still a Japanese card that I will likely never part with and pass down from generation to generation now. 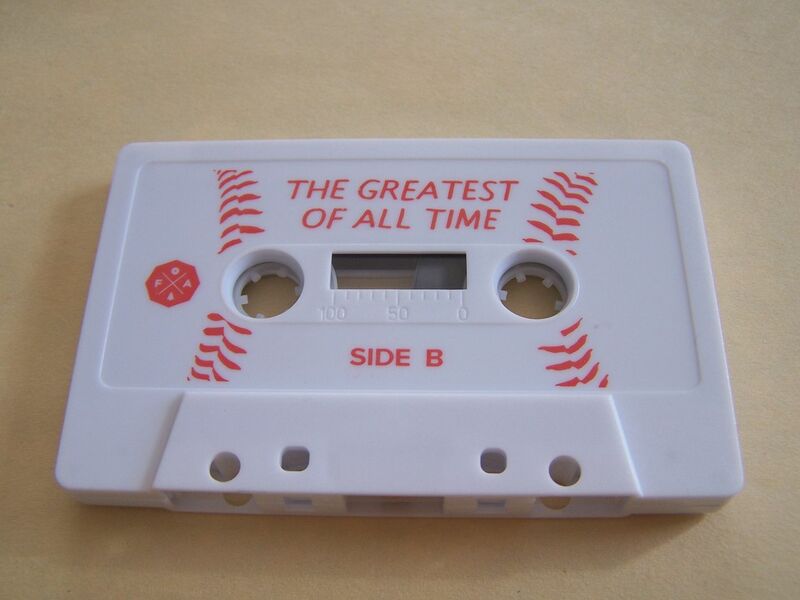 Baseball nostalgia aside (Though to be fair, that is why I bought this cassette) I came to find *after* my buying this that these are all previously unreleased songs from these artists. Yeah, some investigative journalist I am, right? 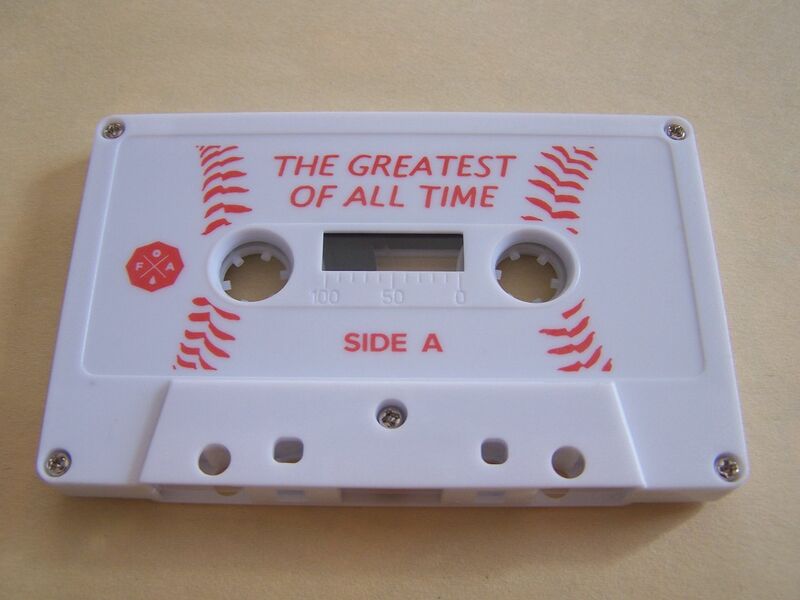 So you have bands like Some Pulp and France Camp whom I have cassettes of and then just other great bands and, well, this just goes above and beyond any sense of what you might think of as a compilation and into something much... would it be too cliche to say it is greater?